Environment-101 is a compact, stackable, multisensor board compatible with Arduino-Uno and is ideal for hobbyists, DIY enthusiasts, parents and educators who teach coding. 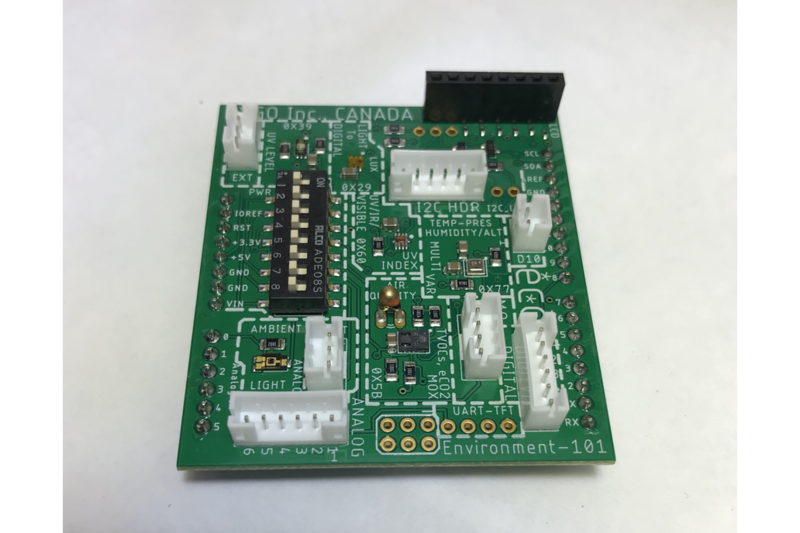 Based on plug & play concept, the sensor board is ready to go right out-of-the-box and can be easily integrated into your environmental monitoring DIY projects. Without worrying too much about the intricacies involved in wiring, breadboard, voltage levels and pull up resistors, the user can stack this sensor board on top of an Arduino Uno and start measuring the following variables......of FROM THIS ONE SENSOR BOARD. Interface to external Nokia 5110 LCD Display(Not included). Thanks to various open-source libraries available for DIY community, users can select specific drivers corresponding to the sensors on Environment-101 and start developing their applications. FOLLOW THIS LINK FOR A GOOD RESOURCE TO FIND DRIVERS FOR MOST OF THE ON-BOARD SENSORS. We believe that Environment-101 and other stackable sensor boards from PYGO address some of these challenges and speed up your DIY development effort. COMPACT: Small footprint, no messy connections and dangling wires from multiple sensors and no need for using a breadboard. Just a single board that fits on Arduino Uno. SAVINGS: Cheaper than sourcing multiple sensors from multiple sellers in multiple countries with multiple shipping, handling and customs charges. 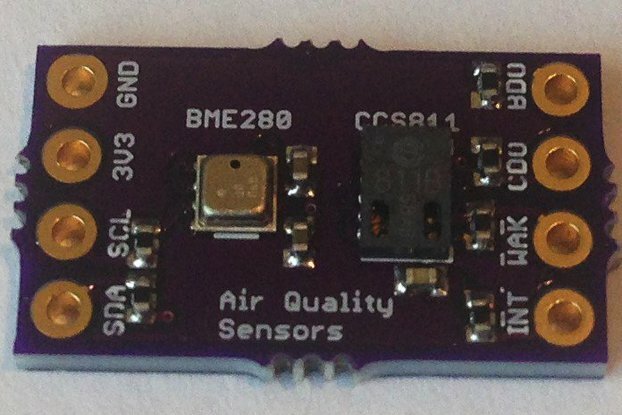 Build your own DIY project/device to monitor your environment using Environment-101 board. EFFICIENT: PYGO boards are stackable on top of each other on the same Arduino board and have built-in measurement redundancies. The level shifters for voltage are integrated to allow I2C sensors to work with 5V and 3.3V. FEW MORE STACKABLE SENSOR BOARDS FROM PYGO INC.
Modular: The sensor board has onboard circuitry to interface with external Nokia 5100 LCD (not included) to create a standalone sensor measurement and display unit. Several JST connectors are provided to expose Arduino pins for external interfaces making the sensor board truly modular. Environment-101 board is expected to fit on any of the development boards that have the same form factor as Arduino UNO such as STMicroelectronics STM32 Nucleo-64, Nordic nRF52, Cytron 32-bit ARM Cortex M0 and Xilinx Spartan-7 FPGA. 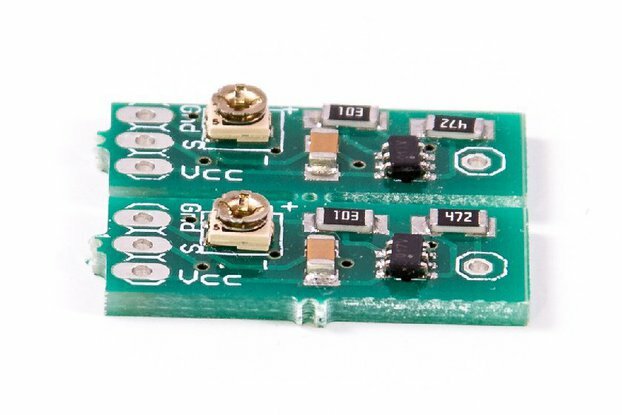 The 8 positions on the SMD DIP switch on the sensor board are used to power up the I2C sensors and the analog sensors. Each of the I2C sensors can be individually turned ON, but for proper functioning of all I2C sensors, leave the DIP switch positions corresponding to the I2C sensors in their default "ON" positions once the system is turned ON. To keep control of the overall product cost, we did not use a hot-swappable I2C setup that supports individual switching without corrupting the data. Switch positions corresponding to the analog sensors can be individually switched ON or OFF without any issues. Please refer to the manuals corresponding to Environment-101 board. 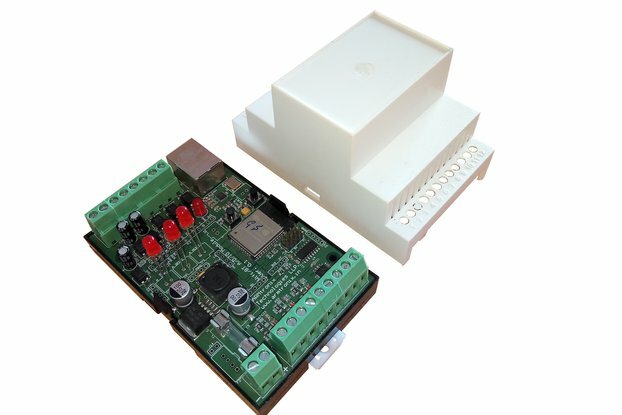 The sensor board is intended for DIY and hobbyist applications and is not certified for use in an industrial environment. 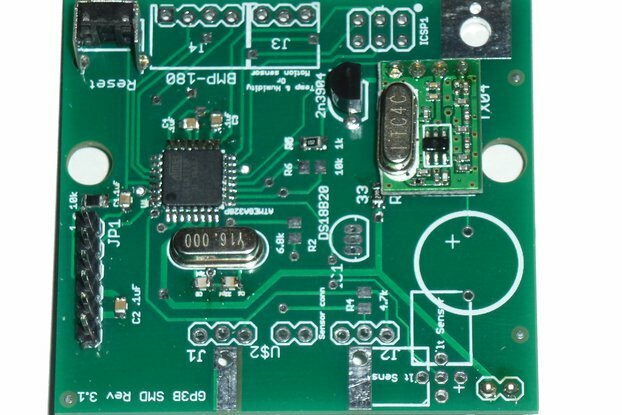 Thanks to various open-source libraries available for the DIY community, users can select specific drivers corresponding to the sensors on Environment-101 and start developing their applications. FOLLOW THIS LINK FOR A GOOD RESOURCE TO FIND DRIVERS FOR MOST OF THE ON-BOARD SENSORS. Use this link and modify the code and upload the sketch to Arduino to scan all I2C sensors that are present on Environment-101 board. Cost includes packaging + shipping. Shipping cost for bulk purchase (> 10 units) can be negotiated. Please reach out to our store at admin@pygo.io for more information.